Two years after releasing their last record, „Dominion“, the California-based band Benedictum is finally back. For a long time, Veronica Freeman and her boys have been big names in the Metal scene and so also record number 4 is destined to be a success. 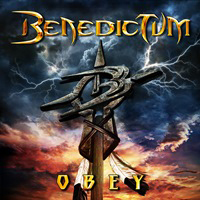 “Obey” is as hard as all previous records and goes from zero to sixty in no time – exactly like you would expect it from Benedictum. One more thing I immediately notice is that they went back to their roots - the music is again more melodious, just like it was on their first two records. The new collaboration with John Herrera seems to have worked out very well. “Obey” brims over with power and the songs have balls. Veronica´s voice is as aggressive as always, maybe even a little bit snottier than before. She´s a textbook example of a metal singer; unlike with most ladies in this genre, you definitely won´t hear any squeaking from her. Also the line-up changes seem to have been a good idea. Rikard Stjernquist on drums and Aric Avina on bass have blown some much needed fresh wind into Benedictum. 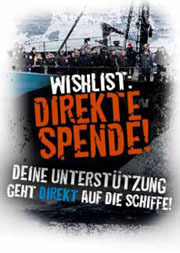 With “Cry”, there is also a very emotional, slow song on the album – it´s a duet with Tony Martin. The song is a great track, just like most of the other songs on the record. A second awesome duet, this time with A Sound of Thunder singer, Nina Osequeda, is “Thornz”. Taken together, here and there, there´s a bit too much chaos in some of the songs, for my taste, but there is absolutely no doubt that Benedictum know how to rock. “Obey” is one more great record from the Americans.